It was The Shop Girl (Gaiety, 24 November 1894) that began the Gaiety series, with a story about the search for an heiress among a team of shop girls. George Grossmith junior, son of the leading comedian of the Gilbert and Sullivan comic operas, was a man-about-town who introduced himself as Beautiful bountiful Bertie. 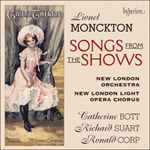 Grossmith wrote his own words for the song, including mention of The Gaiety Girl and Morocco Bound, two other musical comedies of the time. But do not shine at anything excepting at the boots. I don’t possess much brain, but I have got the latest tie. And give the cabby half-a-crown to drive me half a mile. Best of all the lot! From Flo and Alice to Gertie. Bertie: I’m the patron of the Theatre, so jolly don’t you know! I hate a bally tragedy, I loathe a bally plot! I much prefer ‘The Gaiety Girl’ or else ‘Morocco Bound’. But the stage door Johnny gets shirty. And round to the back goes Bertie. I find it more effective if you never speak at all.